Psst, when was the last time you did a spending audit in your business? (If you haven’t in a while – or ever – hurry over to this post.) Now that that is out of the way, let’s talk money today! There’s a fine balance between spending money wisely versus wrecklessly in your Silhouette or Cricut craft business – especially when you are first starting it. Today, I’m sharing my opinions on ten things that you shouldn’t waste money on. New equipment. I’d never buy a new piece of equipment without first looking around for it used. You can save hundreds or even thousands on everything from a second or third cutting machine to heat presses and fancy printers if you find someone getting rid of theirs. My favorite places to look are: Craigslist, local Facebook groups, Mercari, Offerup, and LetGo. 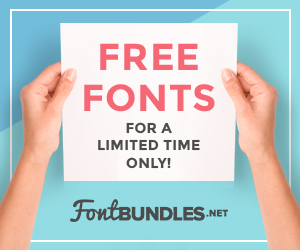 Digital design and font bundles. Gasp! I said it. The same rule we used above for supplies works for digital purchases, too. There’s no reason to buy a bundle of 30 or 40 designs for your Silhouette or Cricut if you only have a plan for a few of them. Price them out individually and see if you can save yourself a few dollars. Supplies that you don’t have a plan for. At the craft store and see a supply you love? Awesome! If you have a plan for it – buy it. If you don’t – take a picture of it and make a plan for it. Then, come back and purchase it later. Bonus: This also reduces clutter in your work and storage space! Expedited shipping for your online purchases. With a little planning ahead of time, you shouldn’t ever need to pay for expedited shipping of anything. While it is usually a few dollars here and there, it can really add up. Software subscriptions. Like equipment, for almost every piece of paid software out there, you can find something that does the same job for free. If you love signing up for free trials, set a reminder to cancel the service before you get billed. Fancy desk supplies. If you are like me and work from home, I promise you that you don’t need colored paperclips, shaped thumb tacks, or fancy staples. Stick to the basics, they work the same. Credit card interest. If you craft business can’t afford it right here and now, don’t buy it. You should strive to pay off your business expenses before interest starts accrueing. Need tips for starting your Silhouette or Cricut business without debt? Head to this post. Advertising. In most cases, craft businesses can thrive with a good social media plan. There’s no need to pay for additional social media exposure unless you have a well thought out marketing plan behind it. Tell me: What have you found to be a money waster in your Silhouette or Cricut business? Great tips! I hope people pay attention to them. My question though is about purchasing used equipment. What about the warranty that you get with new items? Isn’t that worth the difference between used and new? The warranty situation would be a case to case. If the equipment comes with a lifetime guarantee, you can get it transferred from the old owner to the new owner. In other cases, if the warranty is only a year or so, the savings of buying used may make up for the lack of it. I agree with buying used equipment. I got a really nice Stahl heat press on Craigslist for under $200. New was $800. If I had to replace the most expensive replacement part on the machine, the electronics, I still would have spent less total on my press than I would have spent on a low to mid grade heat press that was new. I have also had great luck with open box items on Amazon. That’s how I bought my first Silhouette Cameo. It worked like charm for 2-3 years, til I sold it to get the new model.